Share "Renting Everything You Need for Your Bathroom Renovation"
Any bathroom renovation is a tough and sometimes pricey job to tackle for any homeowner. Before you pick out that new shiny sink or fancy shower head, plan out all the tools and materials it will take for you to get the job done. This will give you a better idea of what you can rent instead of buying so that you save money on the entire project. Let’s face it, why buy the tools and equipment that you will need to remodel your bathroom when once it’s done; you’ll never use them again. Unless you have more than one bathroom to remodel on your calendar its safer on you and your wallet to just rent everything you need for your bathroom renovation. Renting the tools you need is an old contractor’s trick because not every project is the same and storage is always a hassle. It’s simply smarter to rent tools you don’t use for every single job because it’s going to save you space in your garage and many tools are expensive to buy. While most commercial hardware stores will push you to purchase the equipment, your local rental warehouse or hardware store will always have an option for you to rent the equipment because they know what it means to do a project yourself as they work with homeowners and private contractors every single day. If you have your entire renovation planned out, then you should notice by now that you may be missing a lot of the tools you will need to complete your project. Some common tools you can rent at affordable prices from your local rental dealer include pipe cutters, nail guns, shop vacs, and hammer drills. In addition to that, you’re also going to need multiple kinds of saws, especially a tile saw, a jigsaw, and maybe even a saw table. The one thing all of these items have in common is that they can be rented! When you need to cut that tile in half to fit in the corner of the wall, there’s a saw you can rent to get it done. When you need to demo the entire bathroom and remove old tile and grout, there’s a shop vac you can rent to help you clean it up. When you need to expand the window in a wall to add a new glass window block panel, there’s a tool you can rent to get it fitted just the way you want it. Whether you are installing a new shower base or redoing the pipes, the tools needed for your bathroom renovation can be easily rented. The last major benefit of renting what you need is that it’s going to free up some money for emergencies and unforeseen cost. Keep in mind saving money while working is crucial to staying within budget so that there’s less of a headache when the job is finished. If you save enough, you may even be able to upgrade the showerhead or sink even more. Don’t let money get in the way of remodeling your bathroom. 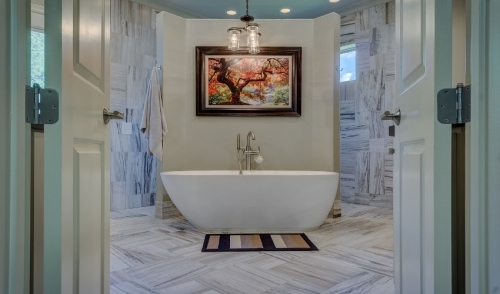 Rent what you need to reduce costs and create the bathroom of your dreams.